This collection of essays honours Rabbi Lawrence A. Englander on the occasion of his retirement after an illustrious career as founding rabbi and spiritual leader of Solel Congregation of Mississauga. The essays of this festschrift address many parts of Englander's rabbinate, including education, life cycle, halakhah, theology, outreach and Israel. 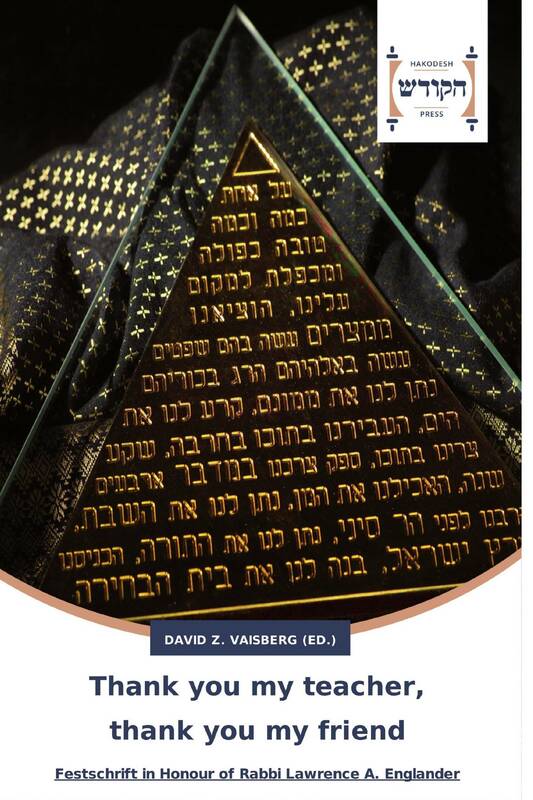 Contributors include students, colleagues and friends: Rabbis Dow Marmur, Ellen Nemhauser, Mark Dov Shapiro, Michael S. Stroh, David Z. Vaisberg, Steven Wise, Irwin Zeplowitz, Rabbi Dr. Mark Washofsky, and Rabbinical Student Jesse Paikin.